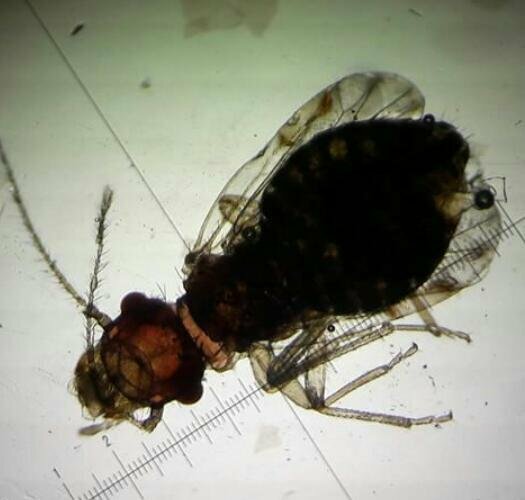 Got a bit excited this week when I swept a psocid from vegetation and for a while allowed myself to believe it might be Ectopsocus meridionalis, which is suspected to be in Britain but not confirmed. In the end I suspect it is the more common E.petersi (edit - it was). It is still out for refereeing but I don't have the same high hopes I did last night when looking at it. The recording scheme website really has excellent photos on this species group. Nevertheless it's one more on the list and joins a few scabby plants eked out from the edges of paths to add yesterday. I finally made it over 50 vasculars!